Councillor Chris Darby, who chairs the council’s planning committee, notes the effects the change will have on the character of our city centre. “We’re creating a variety of distinctive, engaging public spaces that celebrate the confluence of people, land and sea. Our new downtown will be a series of destinations, thriving with life and enticing people to the water’s edge. Auckland council says in three years the waterfront will be more welcoming and generous. “The design of the dramatic changes afoot will reflect our unique Auckland identity and celebrate our place in the world,” Darby says. Key projects within the programme, which are currently going through resource consents, will be delivered by 2021 in time for the 36th America’s Cup and the Asia-Pacific Economic Cooperation forum (APEC). ● Quay Street Strengthening works will begin in early 2019. Seismic strengthening is needed to protect Quay Street and the utility services within it. This is the first step in the revitalisation of Quay Street and the works will be undertaken in stages, running from Princes Wharf to Marsden Wharf. ● Investigation and relocation of utility services along Quay Street will take place from late 2018. This will identify underground services, such as power and gas, and provide essential information for construction planning. The new downtown aims to be a series of engaging destinations. ● Quay Street will then be transformed into a revitalised waterfront place, with wider footpaths, easier navigation, new street furniture, trees, and greater opportunity for business and events. ● Two Downtown Bus Interchanges are also being developed. A traffic-calmed Quay Street will integrate different modes of transport and improve connections between trains, buses and ferries. ● Downtown Public Space (interim name) will be under construction from late 2019. 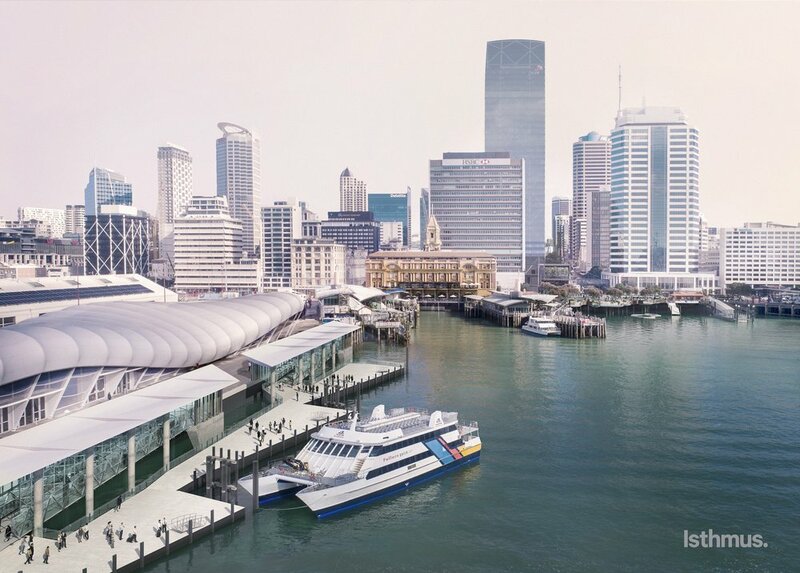 Aucklanders tell us they want to feel better connected to the harbour, and this exciting new waterfront destination will accommodate growing numbers of people in the city centre who need more space to move, rest and play. The council wants to entice people to the city’s waterfront. ● The construction of the mooring dolphin at the end of Queens Wharf will be underway from early 2019. This new cruise ship mooring structure means newer and larger ships will be able to dock in central Auckland. ● The redevelopment of the ferry basin will begin from mid-2019, creating six new berths on the west side of Queen’s Wharf. This is the first step towards a modern ferry terminal that is suitable for the city’s growing transport needs, and further development will occur post-2021. The public will have an opportunity to share their thoughts on the designs and raise any concerns over the next few weeks. For more click here.